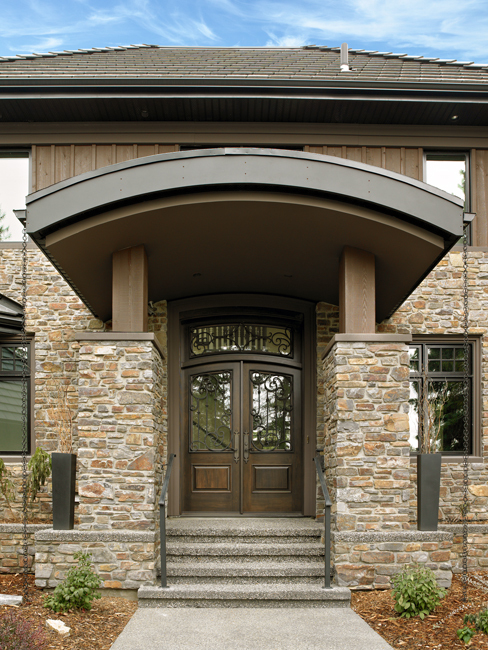 This project highlights the beauty of combining wood and wrought iron to create a dramatic entryway. 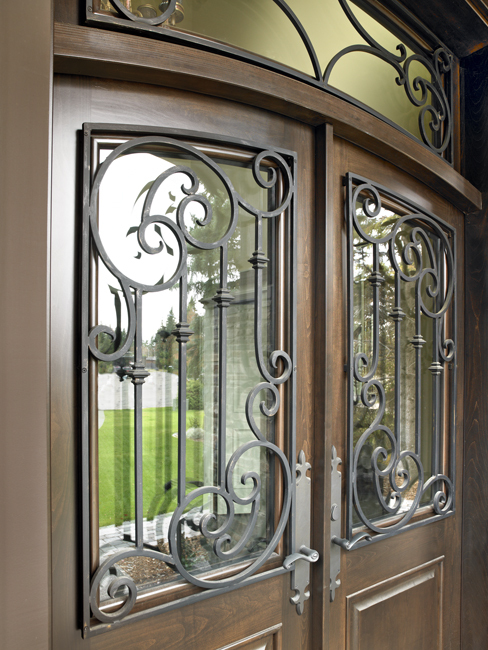 These wrought iron panels are raised slightly above the surface of the door to create a shadow effect. 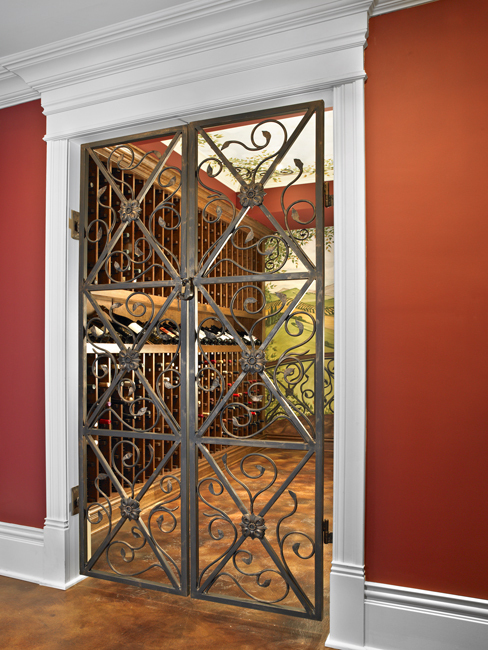 The wine cellar gates were designed to evoke a feeling of Tuscany. The gates are painted in antique bronze to suggest age and patina. Notice the repetition of the gate pattern on the trompe l'oeil painting at the back wall of the cellar.